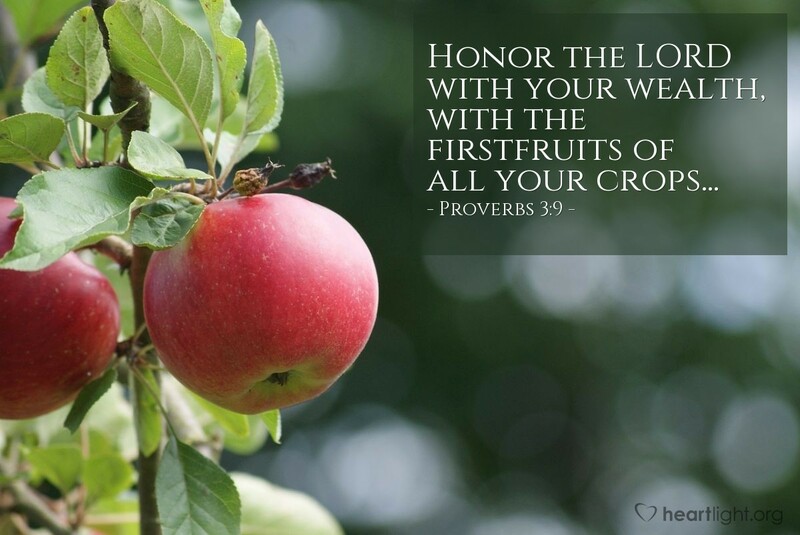 Honoring God comes first in everything. We don't give him the last, the least, or the leftovers. He gave us his best, most precious, and most perfect of gifts — his Son Jesus. Thanks be to God for his indescribable gift! How could we give him anything less than our best, our first, and our most precious? Gracious God and loving Father, thank you for every good and perfect gift you have lavished upon me. Please accept the offering of my heart which I freely give to you. Soften it and make is gracious and generous like you. I commit to give you and your work in the world, my first and best. In Jesus' name I pray. Amen.